Icom IC-M424 has a built-in 10W amplifier that increases the audio output from additional external speaker. The public address function allows you to make an announcement from the microphone like a loud speaker, and the foghorn can also be emitted from the additional external speaker. 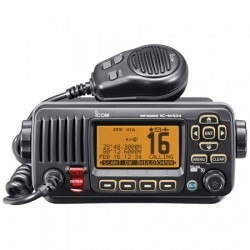 ICOM IC-M424 the World's First Active Noise Cancelling Class D DSC Fixed Mount! Read the Practical Sailor Review of the M424 here! Click the image to view the PDF review. 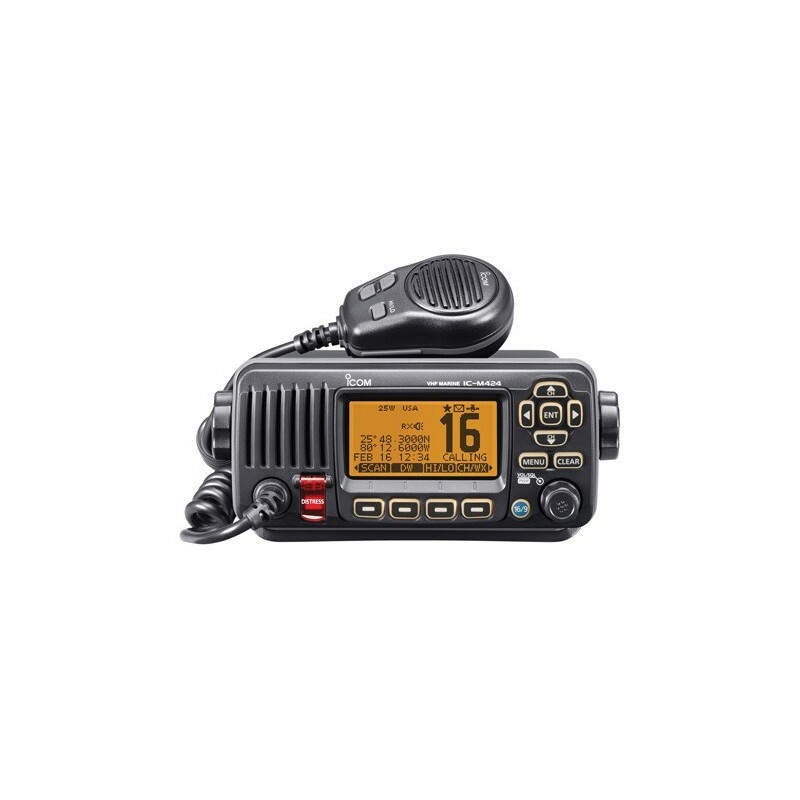 The new optional COMMANDMICIV makes it convenient for using the IC-M424 from a separate cabin or tower. All functions of the IC-M424 can be controlled from the COMMANDMICIV.